Available in top and side hung variants, our Quantum Standard Friction Stays come in a choice of sizes to suit the majority of frame widths. The standard friction stays are manufactured from high quality austenitic and stainless steel, ensuring a long life cycle, as well as a smooth operation of the window. 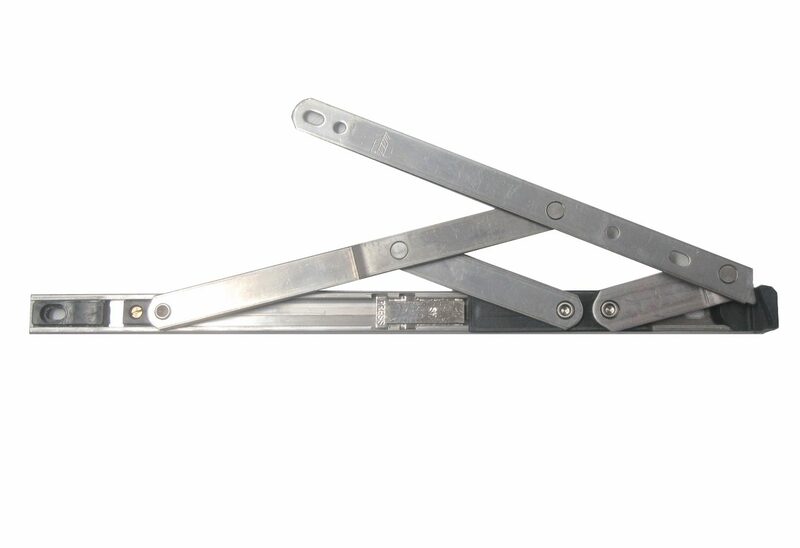 Our Quantum Heavy Duty Friction Stays are made from high quality stainless steel, and are suitable for many commercial applications, from uPVC to timber and aluminium. They are available in 12” and 16” for side hung applications, with the capability of holding up to 33 kg, and 16”, 20” and 24” for top hung applications, with the capability of holding up to 43 kg. The Quantum Restrictor Friction Stays are available for top hung and side hung applications and feature two interlocking hooks for enhanced window security. Compatible with the majority of uPVC profile systems, our security friction stays come in an extensive choice of sizes to suit virtually all frame widths. 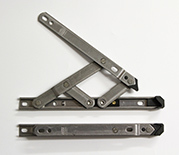 The Quantum Egress Easy Clean Friction Stays are available for side hung applications. Compatible with the majority of uPVC profile systems, with the options of either 13mm or 17mm stack heights and either 12” or 16”. They all come with a 10 year mechanical guarantee. 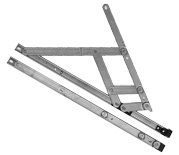 The Trojan Mega Egress Friction Hinges combine emergency exit needs with an easy-clean function, and can accommodate all side hung applications. 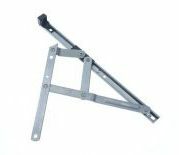 Thanks to the hinge’s superior strength, the 220 mm version and 345mm version suit all applications with sash widths of up to 600mm (33 kg load) and 900mm (40 kg load) respectively. 10 year mechanical guarantee. The Yale friction stay is compatible with PVCu, timber and aluminium windows and are manufactured from ferritic stainless steel. We stock a range of Yale stays including egress only and they are all available in 13mm and 17mm stack heights. They all come with a 10 year mechanical guarantee.